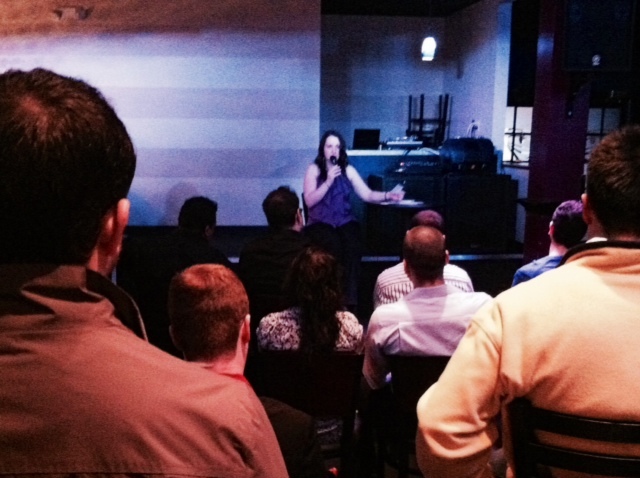 My Speaking event last Sunday! This is a small piece on prayer from the talk I shared at church. As I began to recover after my accident, I knew I had a long road ahead. I contemplated my future with God. I would ask, “What are we going to do, Lord?” and “How will my life be?” I didn’t know for sure but I knew one thing, I had Him – and I knew He would never leave. I didn’t like what happened to me, but I liked being in the silence and experiencing the peace. Talking with God, asking for his help, his guidance, and presenting my problems before him has always helped me! And in the hospital, He spoke to me each day – through the love of others, the nurses, my mom, and the doctors. He explained every step of the way, what we would do, and how we would get through. I knew everything would be okay — in my feelings and in my heart. Spending time with God has saved me all my life. Prayer is one way I do this, and I like to speak to Him when it is quiet because that is when I can hear from Him most — in feelings and in thoughts. When I am away from the noise. I listen to Bible verses throughout the day or before I go to bed, usually. I’ve been doing this almost every day for the last few months. If I can commit to at least fifteen minutes a day, it helps me! I feel more peace since I have started. Things that would bother me before seem petty. I have noticed improvements in different areas. So I would recommend for anyone going through a challenge, or hardship to start doing it. I have downloaded the Bible Gateway app on my cell phone, and I sometimes listen on a laptop. I click on the audio selection, and listening is convenient. I have listened while cleaning, or even writing. Technology is great! You can study while completing tasks. We don’t have to only read anymore! Two Psalms that really speak to my heart now are Psalm 69 and Psalm 71. Author Zina HermezPosted on March 12, 2016 August 2, 2016 Categories Writing, Speaking, and MediaTags app, Bible, church, hardship, prayer, Psalms, Speaking2 Comments on My Speaking event last Sunday! I’m Speaking to a Congregation! I’m happy to share a letter and invitation I sent to close contacts earlier: http://eepurl.com/bRAlR5. I want to share it with you too, because you have supported me also. Let me know if you are interested in attending my upcoming event. Author Zina HermezPosted on February 23, 2016 August 2, 2016 Categories Writing, Speaking, and MediaTags Book event, church, congregation, SpeakingLeave a comment on I’m Speaking to a Congregation! My next Speaking engagement is on Dec. 5! This is a letter I shared with close contacts earlier: http://eepurl.com/bImqHT. I want to share it with you, my readers, because you have supported me too. Thank YOU! You can read about my upcoming adventure! And you can also watch me on livestreaming if you’d like! Click here: http://signupforthelivestream.gr8.com. Author Zina HermezPosted on December 2, 2015 Categories Writing, Speaking, and MediaTags Boston, Cambridge, Charles River, Harvard Faculty Club, Not Without God, SpeakingLeave a comment on My next Speaking engagement is on Dec. 5! Today I would like to share some photos with you. 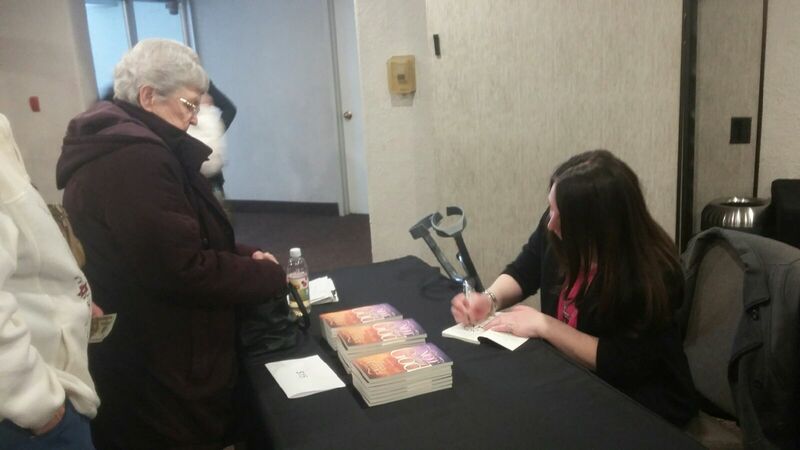 The pictures are from book signings, writer’s conferences, and speaking events. I thought this would be a nice way to recap, and prepare for the New Year! These pics may give you a glimpse into my life, and what it is like to be a writer. I hope you enjoy them as much as I enjoyed the moments they were taken. The gorgeous view from the balcony of my hotel room at a writer’s conference in Las Vegas! When I got to the hotel, it felt surreal. In CALIFORNIA after another writer’s conference last year in March, enjoying the beautiful scenery! What an exhilarating time! 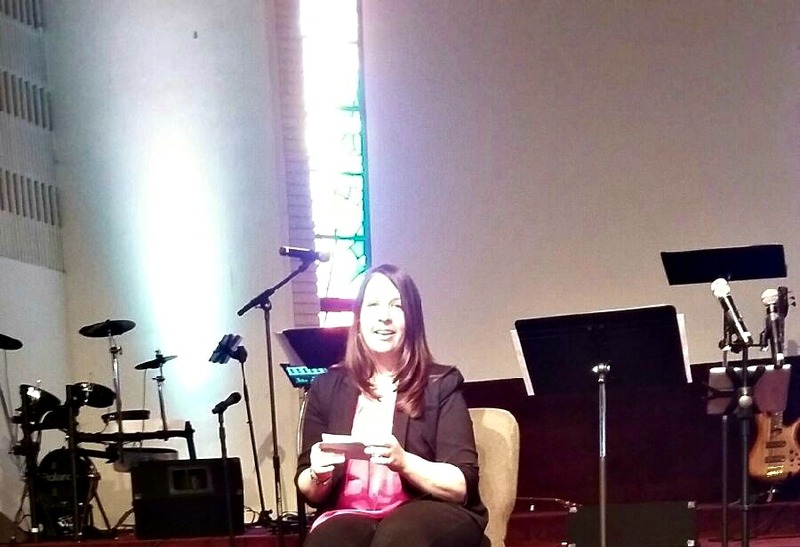 I shared with my friend Millie’s non-profit group at a speaking engagement in April. Reading an excerpt from my book, Not Without God at a book-signing sponsored by Beztak Homes last September! So fun! A special moment with Linda and her daughter, Sara! 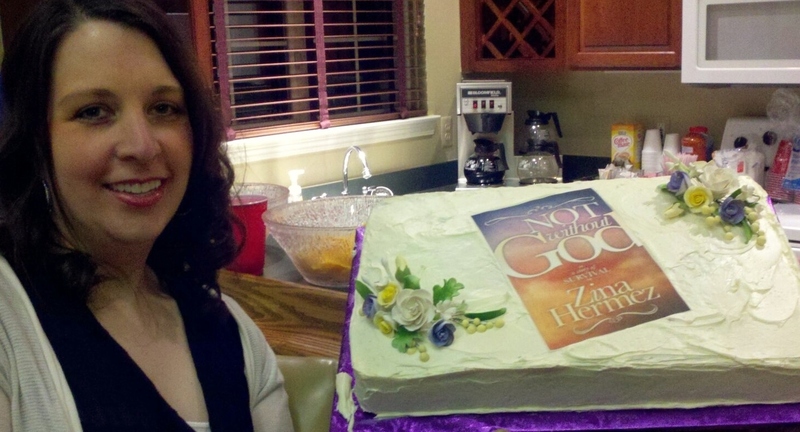 The “Not Without God” cake at my book party in November. My sister-in-law shocked me when she walked into the room with this! So awesome! Happy 2015! Thank you to everyone, I had a great year! I wont forget it. I look forward to our friendship for many years to come. Author Zina HermezPosted on January 1, 2015 Categories Writing, Speaking, and MediaTags Book event, Book signing, Speaking, writer's conference, writersLeave a comment on Happy New Year!